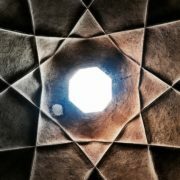 Manjan Archives - Ceenie - Precious Dishes - Ceenie Inc.
I’ve never been a fan of long road trips and my travel from Tehran to Kerman was no different. After hours of a not-so-scenic bus ride I finally got off, hopped in a cab and headed to a café that I had been recommended to located in the Vakil Bazaar. As I began to sip on my tea I finally got a chance to look around and take it all in – the beauty of the details, craftsmanship and rich culture was truly mesmerizing. Kerman; my grandfather’s birthplace, my first stop! Here’s a little fun fact: In 1271 Marco Polo had visited Kerman, the most important city in the southeast of Iran during a time that the area was a major trade center. Turkmens, Arabs and Mongols ruled the city after the 7th century. To this day, each one of those culture’s impact is evident in the city’s being. Architecture and eye catching tile works are some of the most significant elements of this city. One of the most important reasons for the establishment of Kerman is its location as a crossroad. From long ago, this city has been one of the most significant locations that connected the West to the East and the North to the South. As I was strolling down the narrow and historic alleys of this vast Bazaar built in the 17th century I stumbled upon one of the oldest Ceēnie makers in town, Mamad’Ali Nikraftar. I couldn’t help but notice all the beauty and art around me. He explained the process of hand making each copper Ceēnie – hammering them thousands of times to refine them to their maximum level. I was deeply inspired by Mamad’Ali’s passion to work so hard which seemed so effortlessly with his hands, creating such beautiful art pieces that resemble years of history, culture, dedication, and tradition all in one Ceēnie.